There is a water shortage crisis in the designated urban areas where Water and Sewerage Company (WASCO) provides potable water supply services. This is due to the prevalent weather conditions where there has not been adequate rainfall for some time. As a result, the availability of water in the raw water sources in most operating centres is not adequate to meet the demand. The hardest hit towns are: Butha-Buthe, Leribe, Maputsoe, Mapoteng, Quthing and Mohale’shoek, which are currently experiencing water supply shortages. Other towns are expected to introduce restrictions in water supply from December 2018 as the storage dam levels continue to decrease. In the towns of Teyateyaneng, Morija, Roma and Maseru water supply is stable because the Metolong reservoir level is satisfactory. However, areas within the capital city such as Moshoeshoe II, Maseru East, Maqalika and Selakhapane that are serviced from the Maseru Water Supply Treatment Plant are experiencing inconsistency in supply. This is due to inadequate flow in the Celedon river. WASCO resorted to the use of the Maqalika reservoir which sometimes is unable to produce enough water to meet the demand. In addition to the use of Maqalika dam in Maseru, the Company has implemented a number of measures to save water and these include: finding and repairing burst and leaking pipes, improved response times for burst and leaking pipes complaints, replacing old and ageing water infrastructure, as well as rehabilitation of supply network. Other measures taken during this season include requests for water releases into the Tséhlanyane river from the Lesotho Highlands Water Project and water flow diversion at some of the raw water sources like the Qomoqomong river in Quthing and ‘Maletsuinyane in Semonkong. 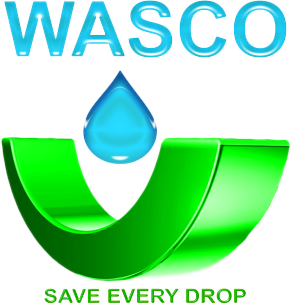 WASCO continues to engage with relevant stakeholders to inform them about the situation and to partner with them in finding ways in which water can be saved. People are therefore advised to use water efficiently during this time. They can adopt efficient use of water practices such as using buckets in washing cars, watering cans for gardening, attending to dripping pipelines in their homes, using a cup in the kitchen or bathroom when drinking and brushing teeth.